When Norman Macdonnell created FORT LARAMIE in late 1955, he made it clear to his writers that historical accuracy was essential to the integrity of the series. Correct geographic names, authentic Indian practices, military terminology, and utilising actual names of the original buildings of the real fort, was insisted upon. So when the radio characters referred to the sutler's store (which is what the trading post was called prior to 1870), the surgeon's quarters, Old Bedlam (the officers' quarters) or the old bakery, they were naming actual structures in the original fort. While Macdonnell planned to use the same writers, soundmen, and supporting actors in FORT LARAMIE that he relied upon in GUNSMOKE, he naturally picked different leads. Heading up the cast was a 39-year-old, Canadian-born actor with a long history in broadcasting and the movies, Raymond Burr. He had begun his career in 1939, alternating between the stage and radio. He turned to Hollywood, and from 1946 until he got the part of Captain Lee Quince in FORT LARAMIE in 1956, he had appeared in thirty-seven films. A few were excellent ("Rear Window", :The Blue Gardenia") some were average ("Walk a Crooked Mile", "A Place in the Sun") but many were plain awful ("Bride of Vengeance", "Red Light" and "Abandoned"). With Burr in the lead, Macdonnell selected two supporting players: Vic Perrin as "Sgt. Goerss" and Jack Moyles as "Major Daggett", the commanding officer of the post. 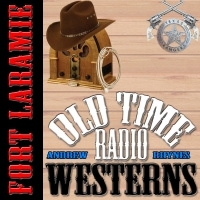 (The original Fort Laramie usually had a Lieutenant Colonel as the C.O. but Macdonnell probably preferred a shorter military title.) Perrin, a 40-year-old veteran radio actor had been in countless productions, but had achieved name recognition only on THE ZANE GREY SHOW where he played the lead, "Tex Thorne." Jack Moyles was also a busy radio actor, having started in 1935 in HAWTHORNE HOUSE, with later major roles in ROMANCE, TWELVE PLAYERS, NIGHT EDITOR as well as the lead in A MAN CALLED JORDAN. From 1947 to 1948 he was a regular in THE ADVENTURES OF PHILIP MARLOWE, which Norman Macdonnell directed, although I'm not sure that this was their first association. 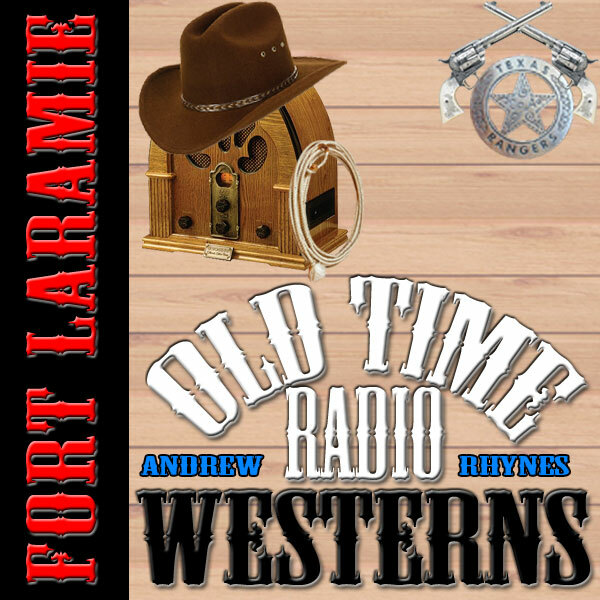 By the mid-1950s when FORT LARAMIE began, most of the actors on the west coast were doing some television and movie work so the program was rehearsed and taped for transcription during the evening. Once a week the cast and crew gathered at CBS Studio One in Hollywood to tape the show. In 1956 this was the last radio production studio in use in California. The series debuted on January 22, 1956 with an episode entitled "Playing Indian."